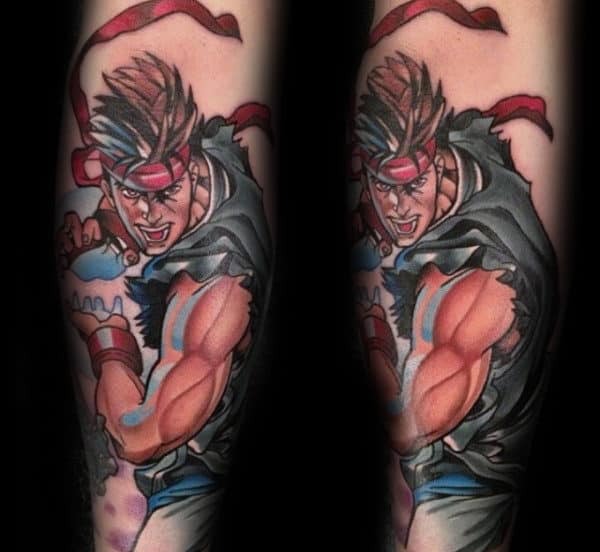 Street Fighter burst onto the gaming world almost thirty years ago with its signature blend of skill and style. 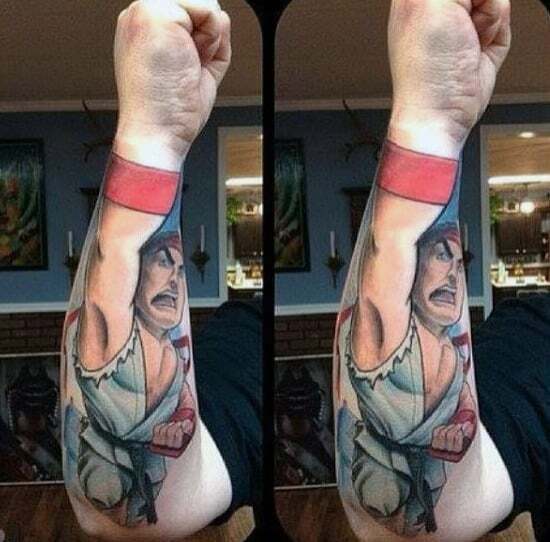 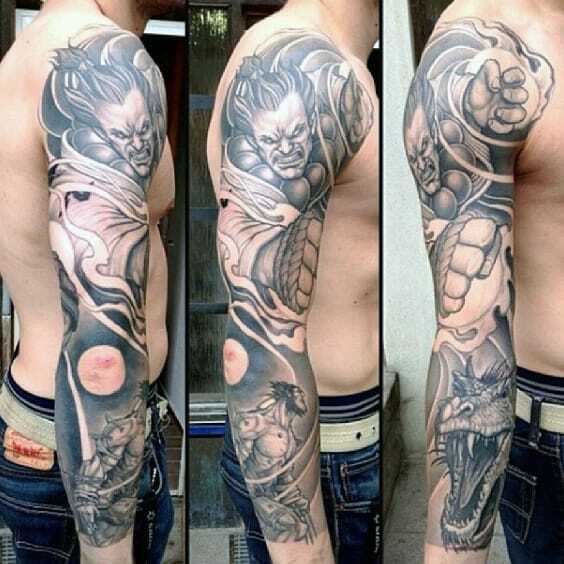 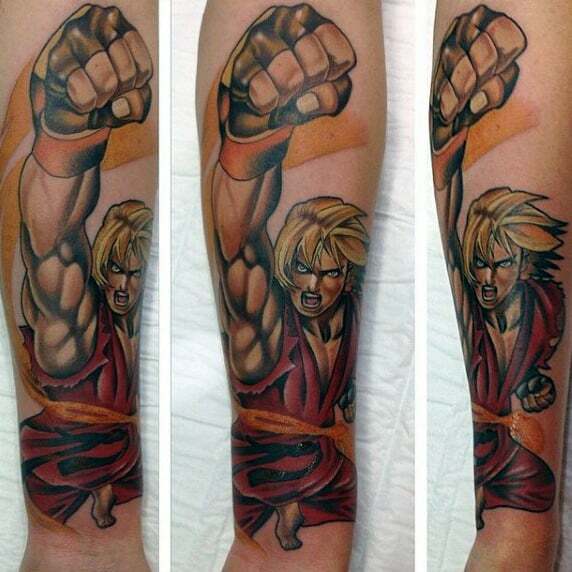 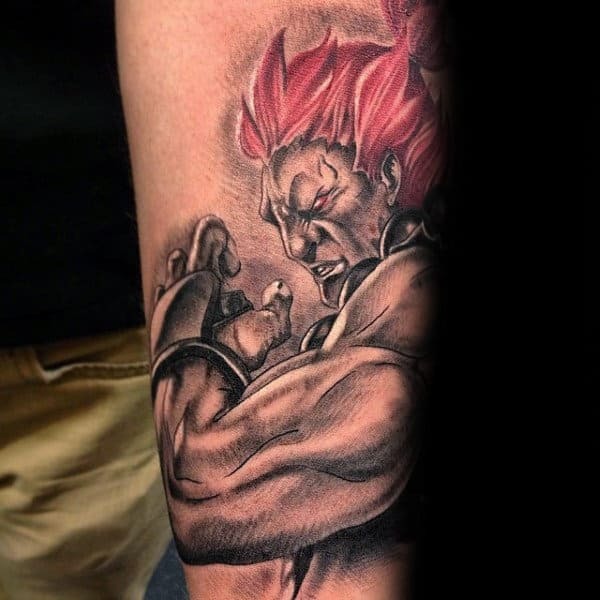 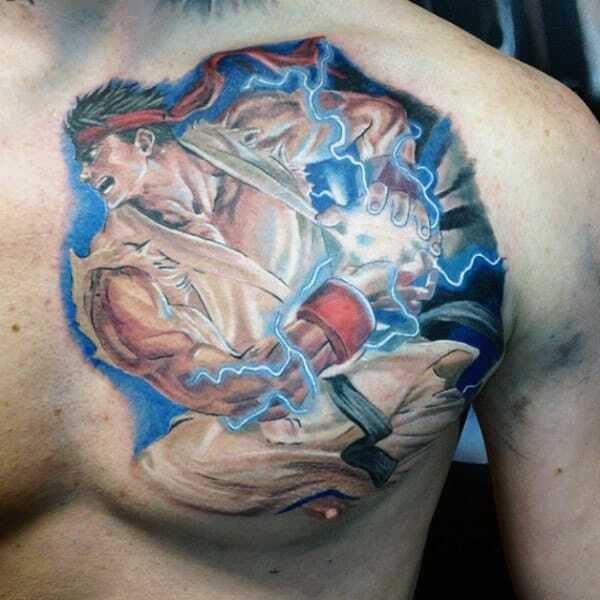 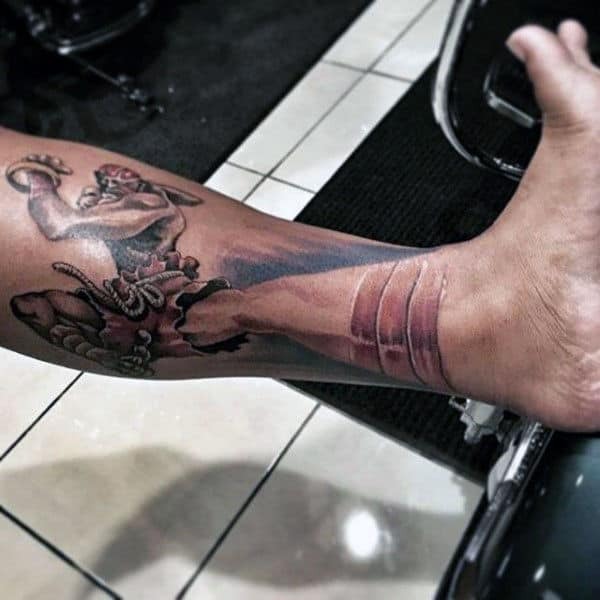 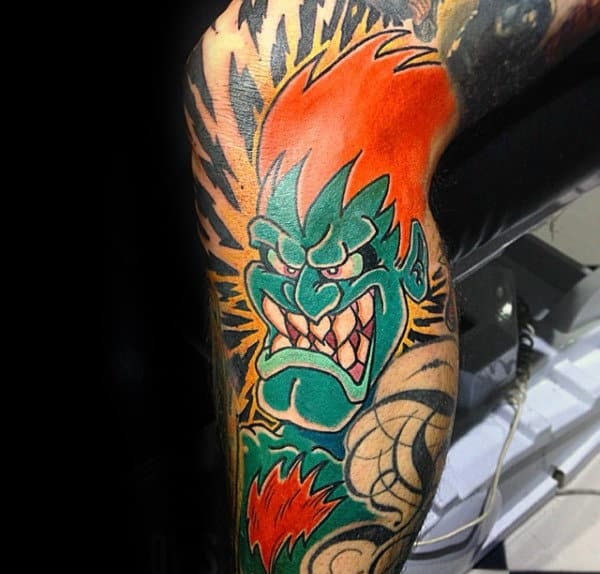 A Street Fighter tattoo isn’t just any old video game tattoo — it speaks to line with history, staying power, and some of the most badass moves ever brought to life with a joystick. 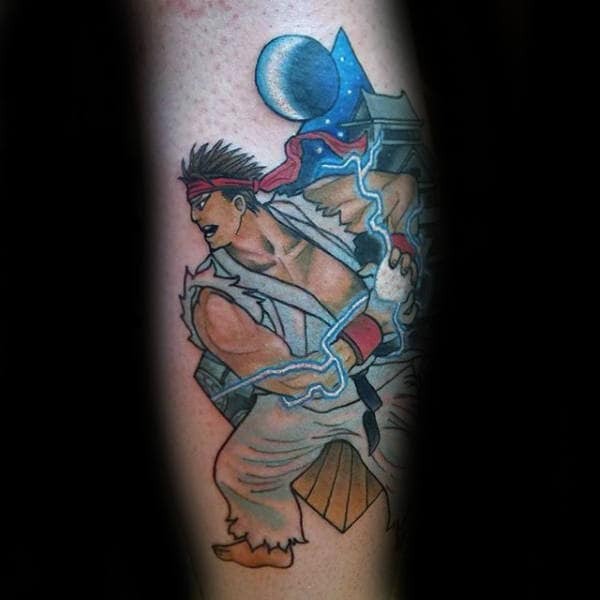 There was a time when there was no better place to pour out your quarters than into the lit-up slot of the local arcade’s newest Street Fighter game. 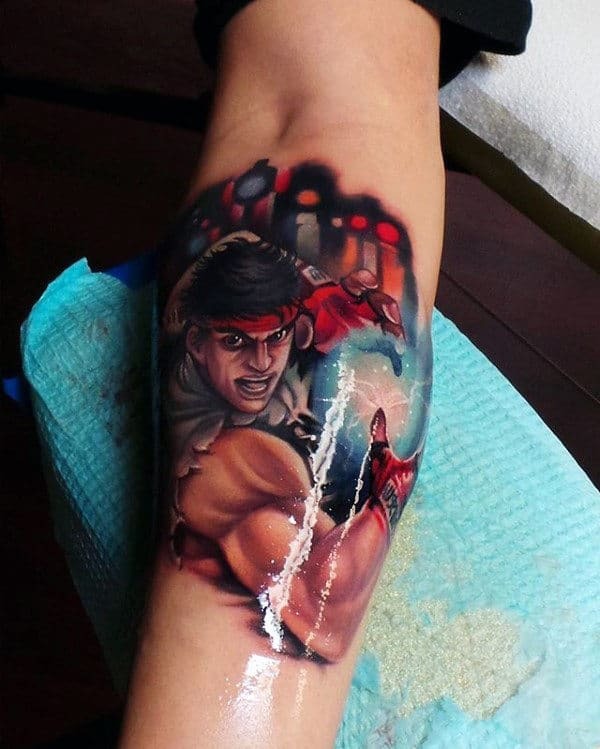 Twenty-five cents earned you a chance to enter a virtual martial arts tournament that would test your wits, your dexterity, and your stamina. 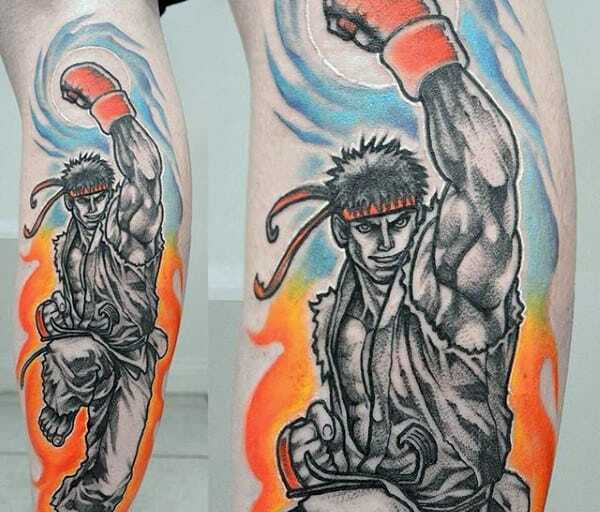 But Street Fighter isn’t just about a nostalgic jaunt down memory lane. 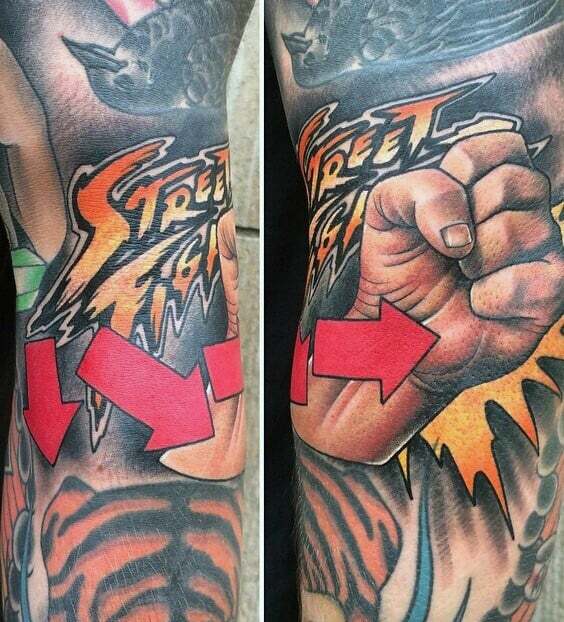 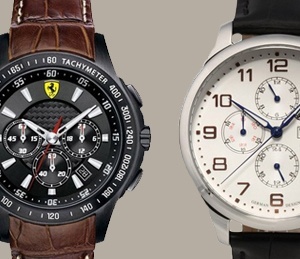 The Street Fighter legacy is about more than just your typical retro cool. 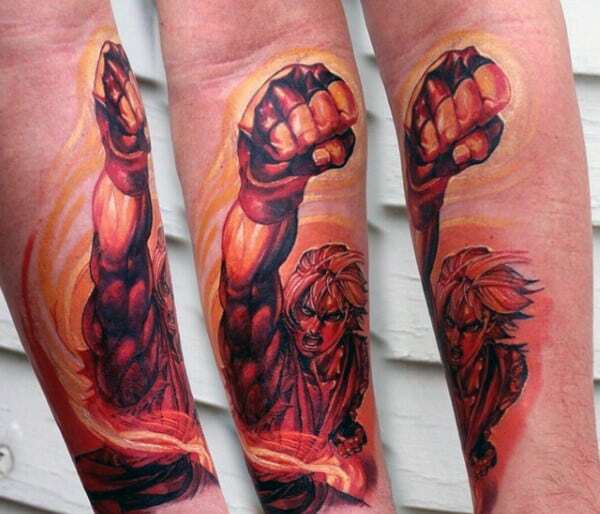 Capcom is still making Street Fighter games because people are still playing them. 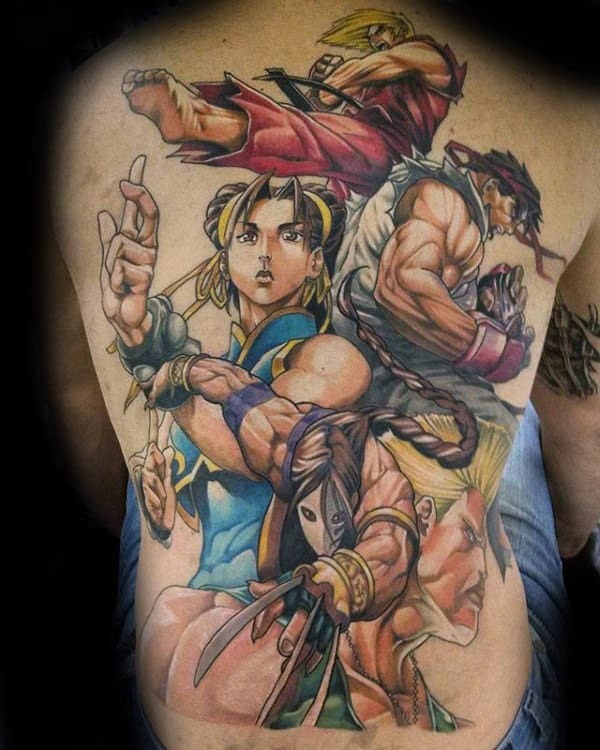 After all these years, Street Fighter is still an unbeatable name in combat gaming. 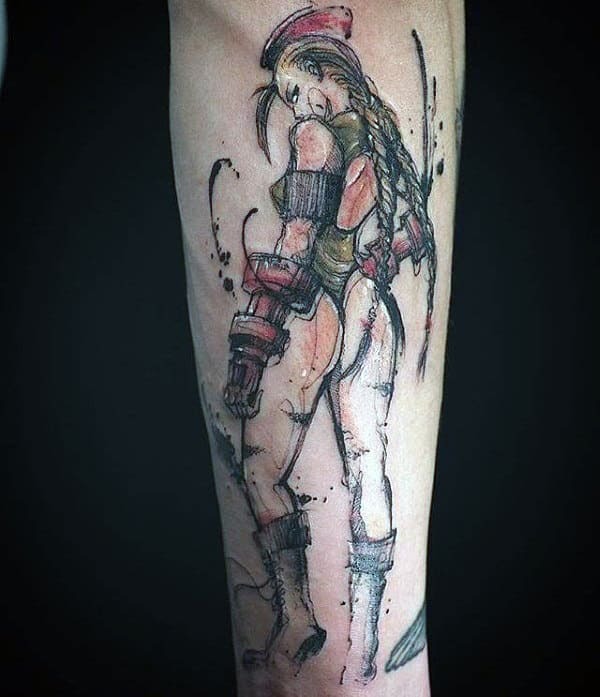 Some of that is the thrill of a game where every player’s fighting style is distinct. 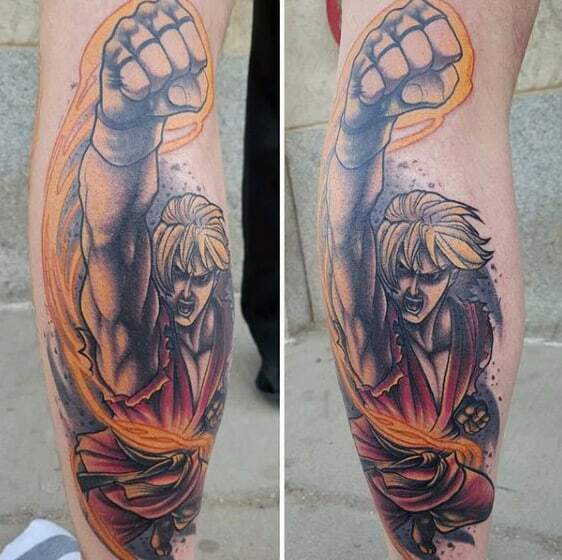 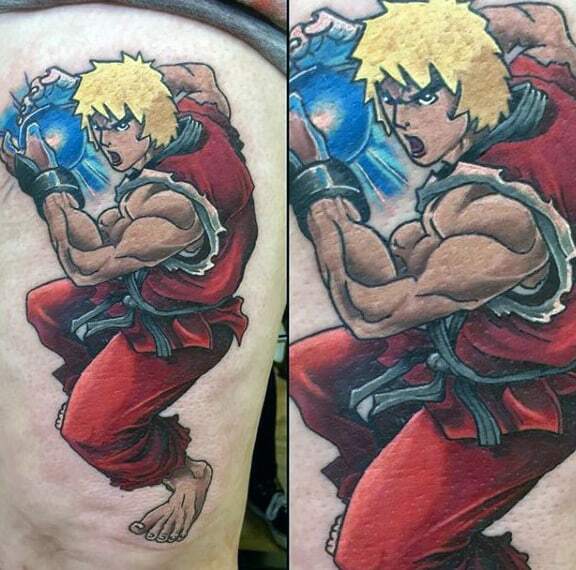 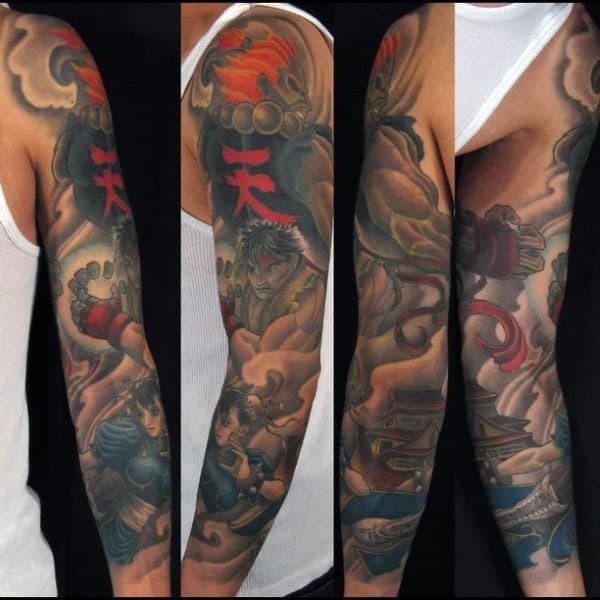 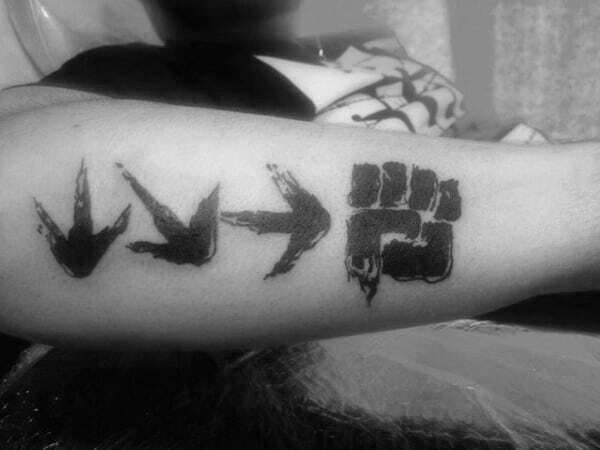 A Street Fighter tattoo says you value individuality. 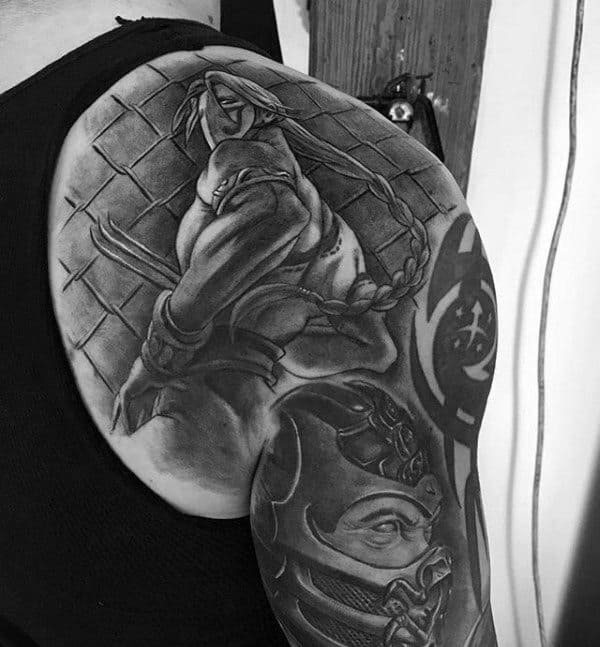 Some comes from the endless array of visual styles in the design, from boxers and ninjas to mercenaries and samurai to assassins and gods. 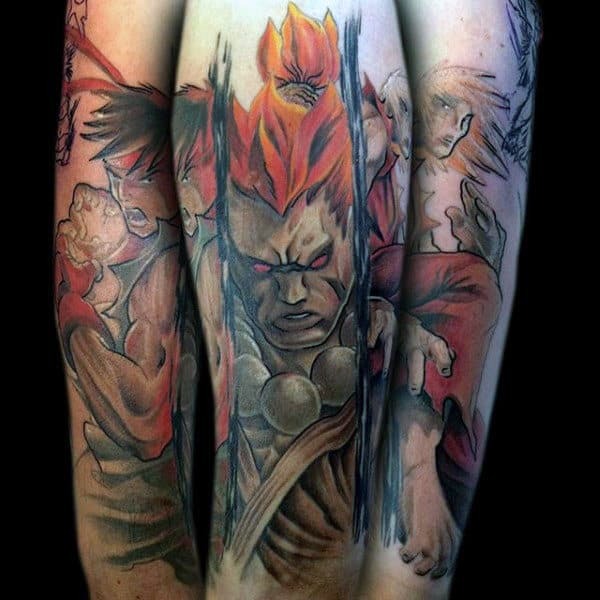 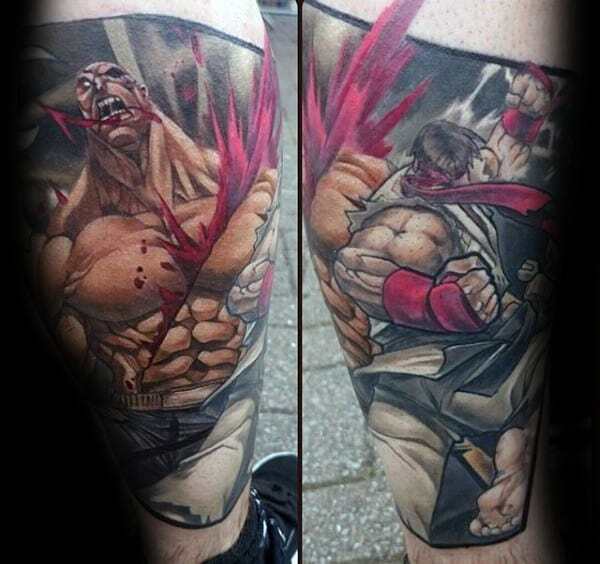 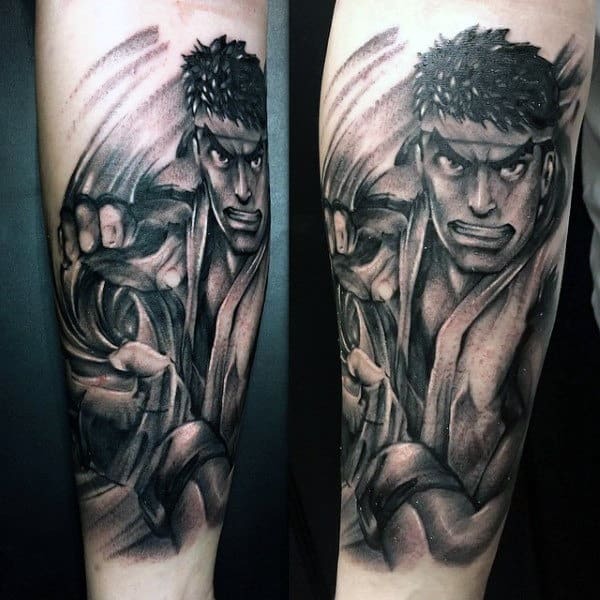 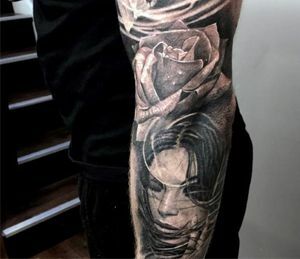 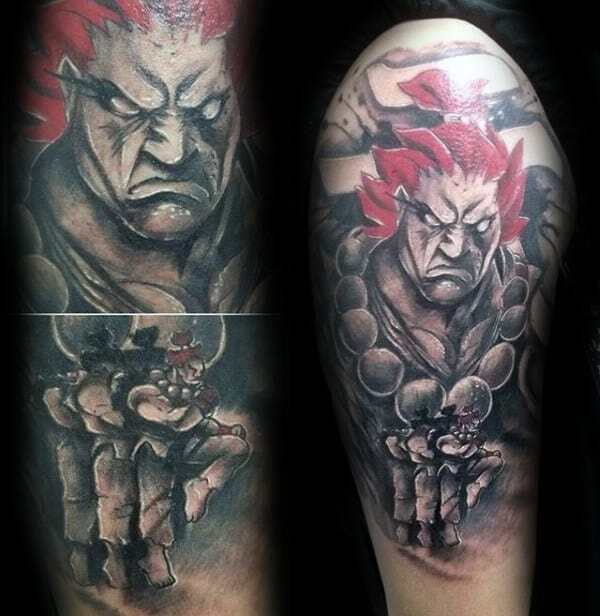 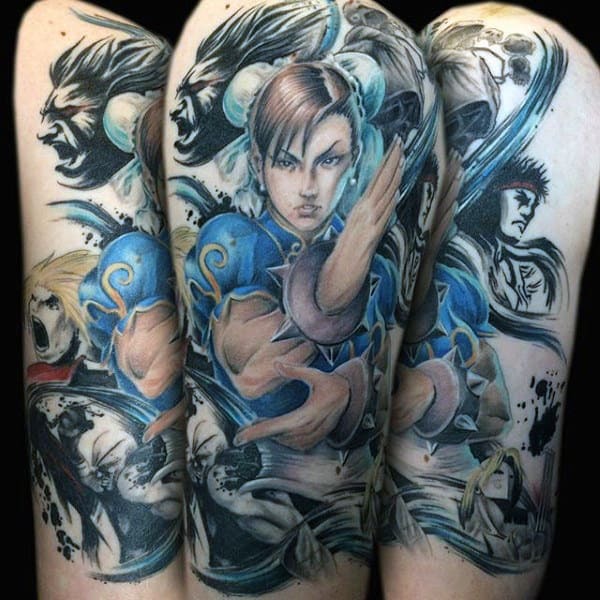 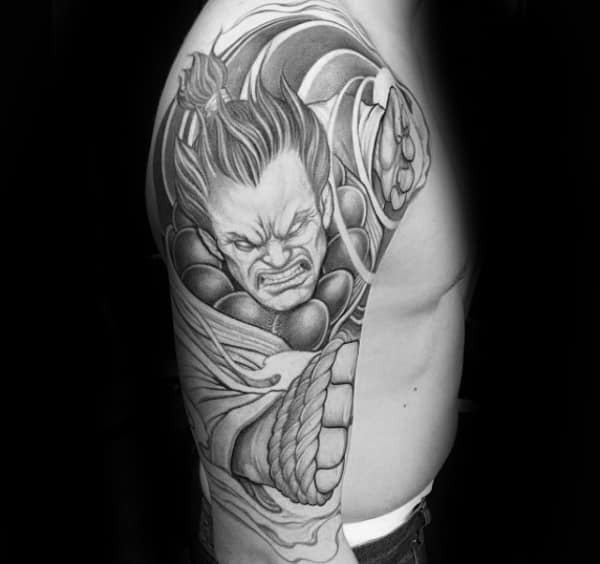 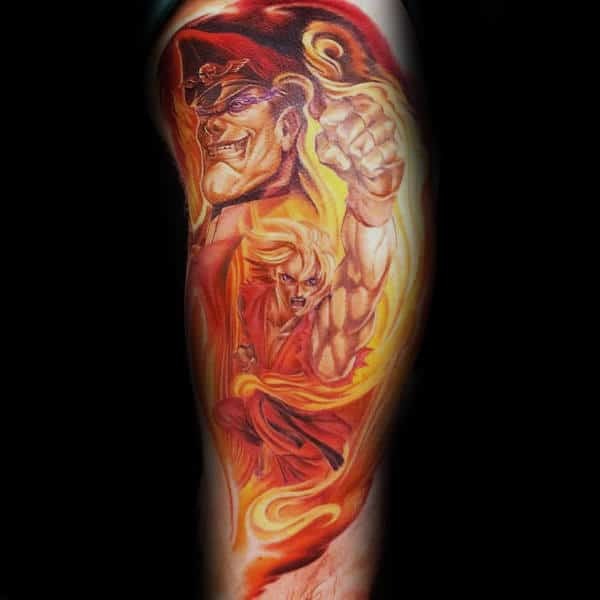 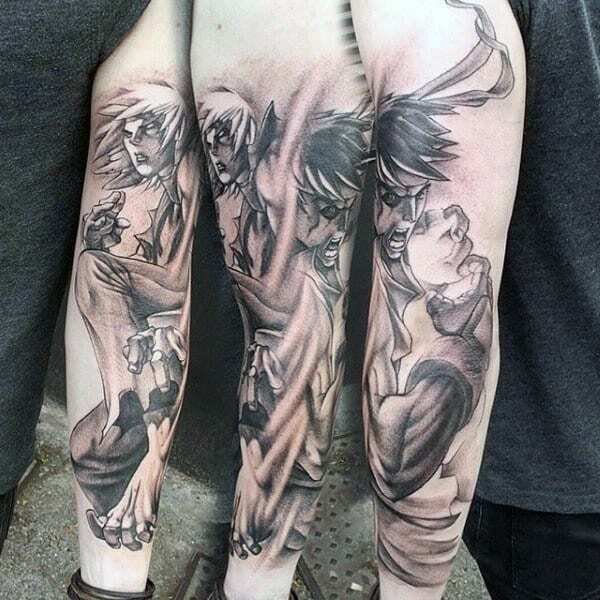 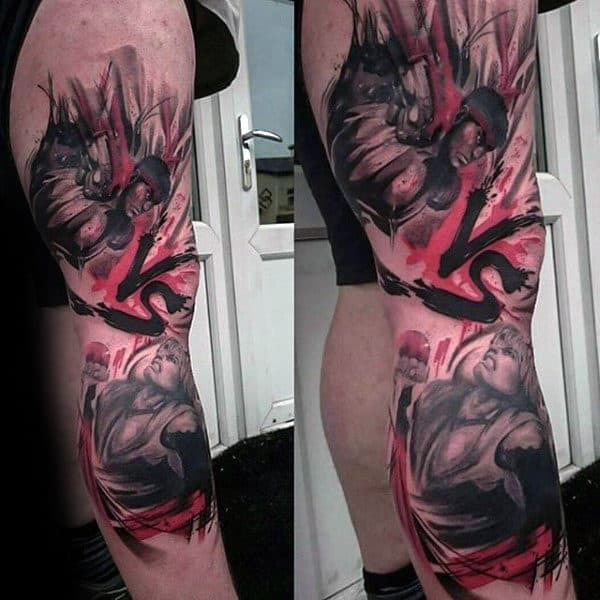 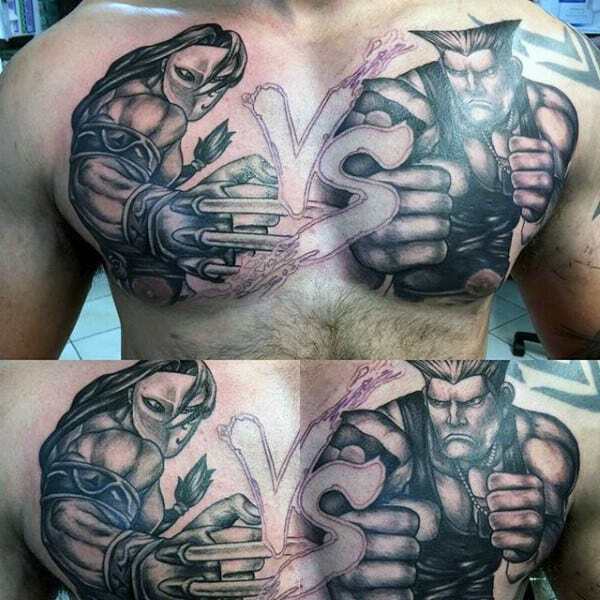 Immerse yourself in the world of talons, nunchaku, baseball bats, hidden swords, and bruised fists with our handpicked assortment of Street Fighter tattoos.